A slow growing blood cancer where your bone marrow makes too many red blood cells is referred to as Polycythemia Vera. Your bone marrow is the site where red blood cells are produced. In Polycythemia Vera the bone marrow is hiked. As the cellularity of the blood increased, it gets thickened leading to reduced flow and blood stagnation. This can even complicates to stroke or heart attack. 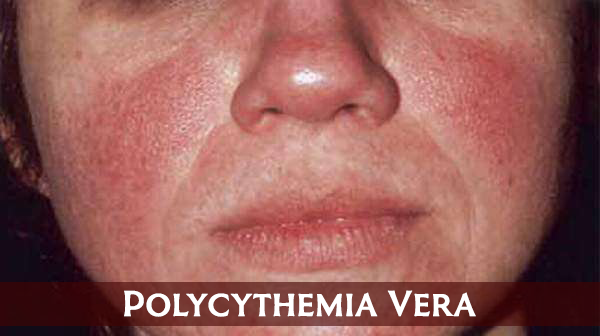 Polycythemia Vera is a relatively uncommon condition and remains asymptomatic for very long years. Usually it is diagnosed along with common routine blood tests for other conditions. This blood condition usually develops very slowly and can become life threatening if not handled properly. Polycythemia Vera is characterized under a group of blood cancers known as myelo proliferative neoplasm. The disease genesis is unclear but no genetic connections are noted. But it is believed to be due to some gene mutations (mutation in protein Janus kinase 2 – JAK2). Incidence and prevalence is similar to all age groups and genders. But it is relatively common in old age (more than 60 years of age). With better treatment at proper time will ease the symptoms of Polycythemia Vera. But if any mishaps happen it can create complications. Blood clotting :- As the blood gets thickened and due blood stagnation, you will have increased risk of blood clot formation. It can cause major accidents like stroke or heart attack. Chances are also there to have deep vein thrombosis (DVT) and even pulmonary embolism. Splenomegaly :- Enlargement of spleen is referred to as splenomegaly. Spleen is regarded as the graveyard of red blood cells. Increased number of red blood cells create a huge workload to spleen leading to its enlargement. Open sores on the inside lining of stomach, upper small intestine or esophagus (peptic ulcer). Myelo Fibrosis :- Progressive disorder in which bone marrow is replaced with scar tissue. Myelo dysplastic syndrome :- A condition in which stem cells don’t mature or function properly. Acute leukemia :-Cancer of the blood and bone marrow. Imbalanced tridosha – vata, pitta & kapha – accounts for Polycythemia Vera with a predominance of pitta dosha. According to Ayurvedic principles, blood production and the blood color is contributed by Rakta dhatu. 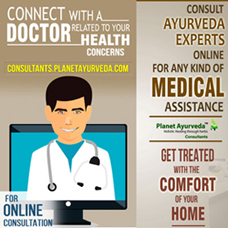 PCV care pack (Polycythemia Vera care pack) recommended by Planet Ayurveda is a great remedy for Polycythemia Vera. These formulations are the best in the market, as it is completely herbal and with no added preservatives or chemical. Hence they are devoid of side effects and no drug interactions are noted till date. It balances the tridoshas – vata, pitta & kapha – efficiently. Dosage :- 1 teaspoonful twice daily after meals with plain water. This capsule help to balance the aggravated pitta. Pitta balance is coolant in nature, there by reduces perspiration. It is a rich source of calcium and helps in body building, thereby boosting the immune system. The strengthened immunity will effectively produce healthy platelets. Your pitta is directly related to blood. When pitta is in balance your blood production is perfect. Dosage :-1-2 capsules twice daily after meals with plain water. Dosage :- 1-2 tablets twice or thrice a day with plain water after meals. Curcumin which is extracted from turmeric is a potent anti-inflammatory drug. They help to boost the immune system and also to modulate. Curcumin capsules are mainly indicated to enhance the blood circulation in the body. It is a potent anti-oxidant. Curcumin is very popular for its antibacterial action. It helps to relieve the pain and inflammation. Dosage :- 1-2 capsules twice daily after meals with plain water. 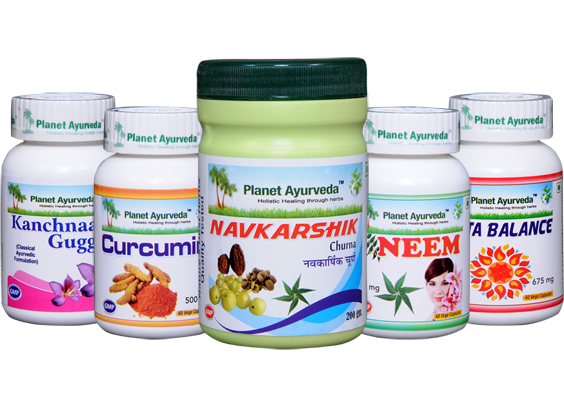 These capsules are prepared out of the standardized extract of neem (Azadirachta indica). It improves the skin and hair health. Neem capsules are very effective in almost all skin diseases including acne, eczema, psoriasis & microbial infections. This capsule is also a potent anti-inflammatory drug. It also helps to balance the pitta dosha and thus a great blood purifier. Dosage :- 1- 2 capsules twice a day after meals with plain water.